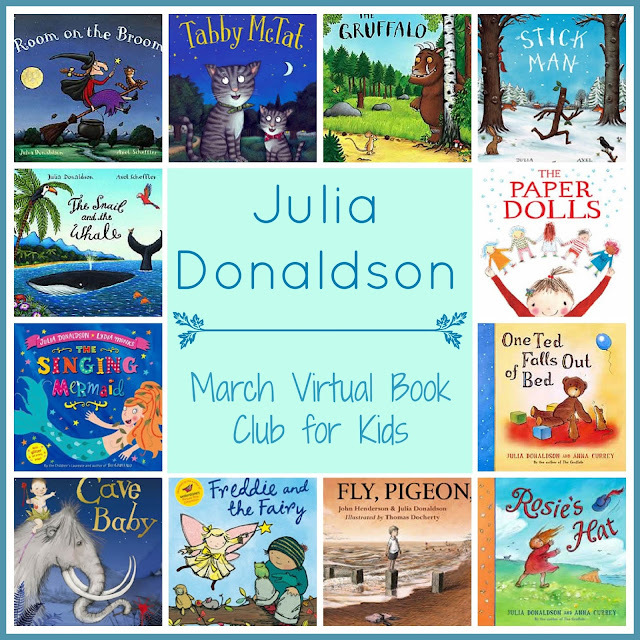 In March 2013 we will be spotlighting books by Julia Donaldson as part of our Virtual Book Club for Kids. 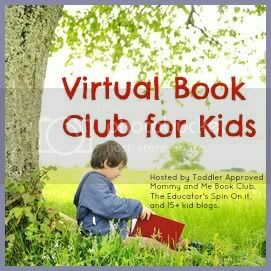 Virtual Book Club for Kids is a fun way for us to share about new authors and books each month! I haven't read any books by Julia Donaldson yet, so I am really looking forward to diving into them this month! We will be spotlighting The Gruffalo as our book this month and will share some book-related crafts and activities. We may even find time to feature a few other Julia Donaldson books too... depending on what is at our library! If you are a fan of The Gruffalo, make sure to check out The Gruffalo on Facebook, Pinterest, and The Gruffalo's US website (if you're in the US). There are even some fun Gruffalo videos over on YouTube. Have you read any books by Julia Donaldson? If so, which one is your favorite? If you want to read more about Julia, you can head here. I think her About Me page is fascinating. Share what you did with us starting Monday, March 18th! We will have a linky up for three weeks where you can share any blog posts (if you are a blogger) or you can post what you did at the end of the linky post in the comments or on our Facebook wall. It is so fun to see the variety of ways that children, moms, teachers, and other caregivers and professionals explore and create using books as their inspiration! My 3 year old son absolutely loves the Gruffalo! We have read it MANY MANY times! His new favourite Juila Donaldson book is Monkey Puzzle - it is also very entertaining! I can't wait to do this one! I looked at several of these books and we have settled on Stick Man. Oh, we have some fun activities planned!!! We'll most certainly join in!